The Arisaig Hotel is an old coaching inn, dating from 1720, and is situated by the shores of Arisaig Bay. 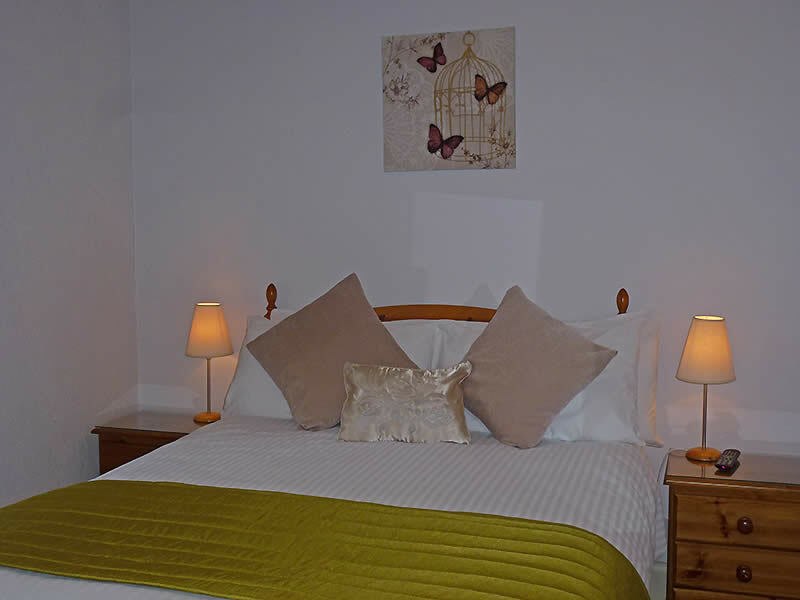 All rooms are furnished to a high standard and all are equipped with a television, hairdryer and tea and coffee facilities. Arisaig Hotel has 8 sea view facing rooms, 4 rooms over-look the village of Arisaig and there is 1 rear facing room. Four of the rooms located in the eaves do have sloping ceilings but they still have the same comforts as all our other rooms. All our rooms have an en-suite shower room or bathroom. Wi-fi access is available in all of the bedrooms, guest lounge and dining room. 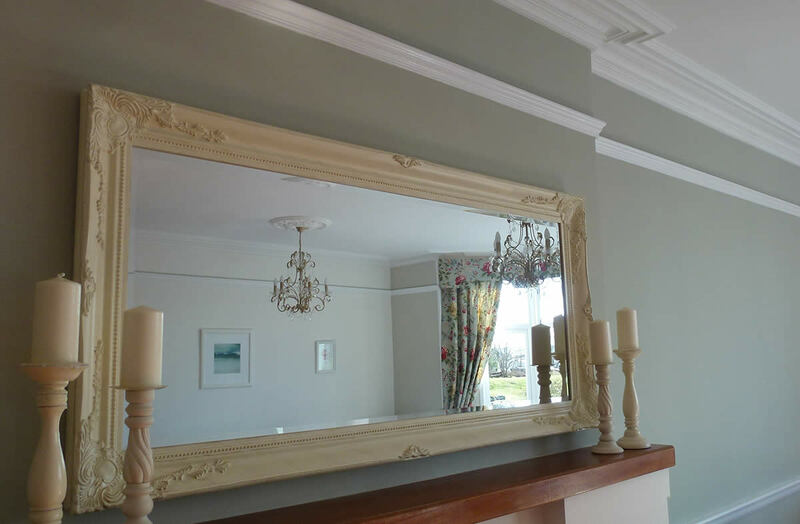 Superior Double Room - Spacious dual aspect room with sea views. This room has a super-king size bed and a bath with shower attachment. 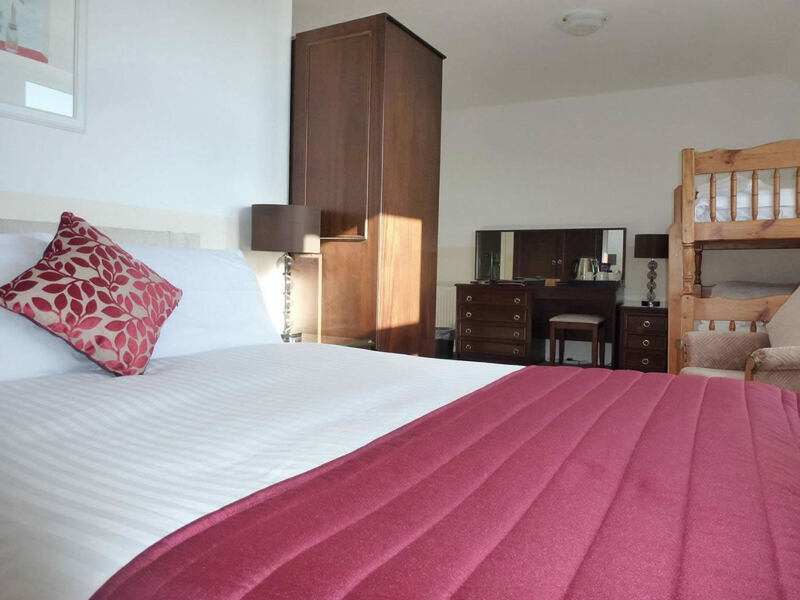 Superior Twin Room - Spacious dual aspect room with sea views. This room has a bath with shower attachment. 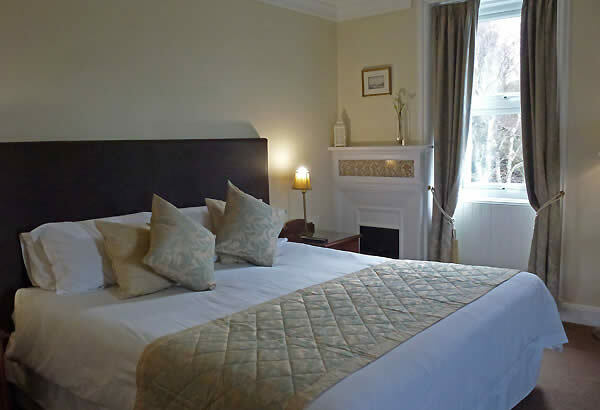 Double & Twin Rooms - Some of these rooms have direct or indirect sea views. All of these rooms have en suite facilities. Rear-facing Double Room - This room faces the rear of the hotel and the fire escape staircase is located outside. This room has a bath and shower attachment. Some noise may be heard from the fan during food service times, so this room is sold cheaper than our standard rooms. 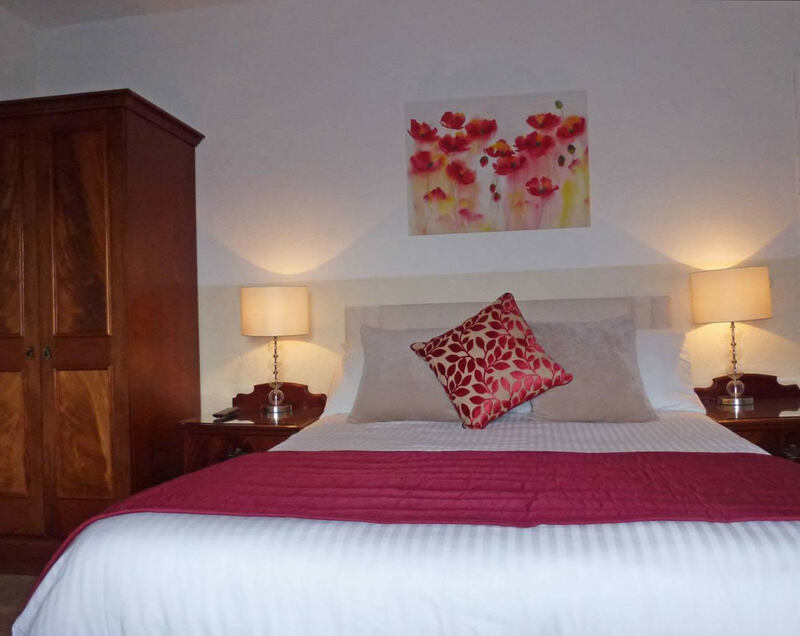 Single Room - This room has sea views and en suite facilities. Family Rooms - These rooms have direct or indirect sea views. 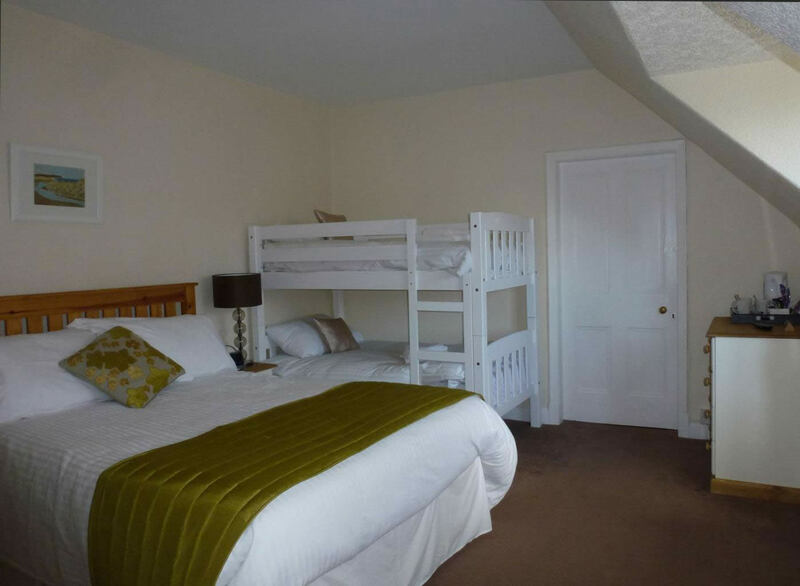 Both rooms have a double bed plus a bunk bed. The family rooms have a bath with shower attachment. One of the family rooms has a short bath and a 5'2" bunk. All rooms have a television, hospitality tray and a hairdryer. All rates are per room on a bed & breakfast basis. Additional Z bed £50 inclusive of breakfast. Happy dogs are welcome £10 per night per dog at the hotel. Maximum of 2 dogs per room.